Leader’s Guide is available now to order! 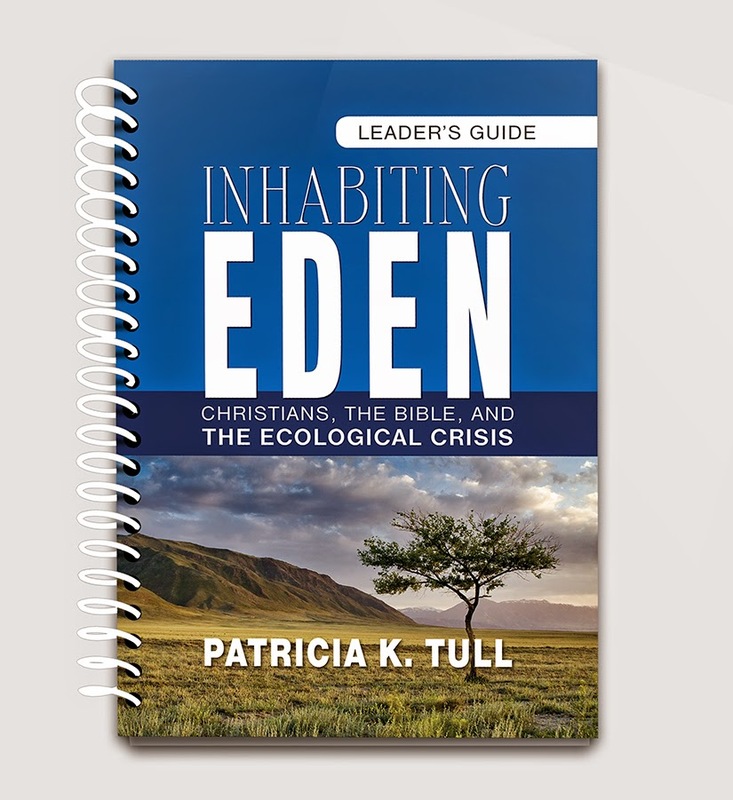 A second patiently awaited supplement to Inhabiting Eden is now available to order. Now joining the book itself and the Reading and Writing Workbook is a Leaders’ Guide for discussing the book in Bible study groups, adult Vacation Bible School, retreats, and book clubs. 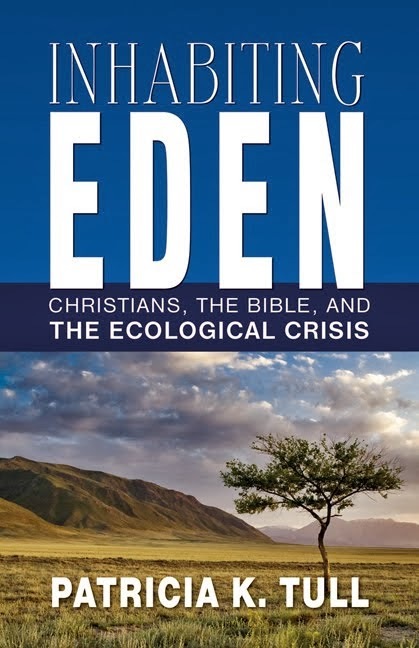 The guide begins with an introduction to Inhabiting Eden and to ecological study of the Bible. It includes suggestions for structuring the sessions to fit a variety of formats and time periods from an overnight retreat to a nine-week class. And it includes specific suggestions for leading discussion of each chapter of the book, along with preparations, materials, prayers, and suggested further resources. For ease of use, the Leaders’ Guide is the same size as the book and Workbook, and spiral bound with white wire to distinguish it from the Workbook. It is printed on 100% recycled paper. Like the Workbook, it is attractively designed with flower sketches at the end of each chapter. There are 90 pages. A free download of the guide for Chapter 1 is available here. I hope you will not only find it helpful but will let me know how you used it and how it worked for you. On our first morning in Lima, Ruth Farrell took us on an epic walk to the Pacific coast, which was almost as far down as it was to our west. She needn’t have told us that she lost her way as we returned—we wouldn’t have known, and we were happy to roam in the warm sun, remarking on all that looked different from home in this almost equatorial city. When we returned, Jenny took me and some others in a taxi to Claro, the SIM card dealership, where we enjoyed Peruvian bureaucracy. First we lined up at a window in the front of the building to request a SIM card. Then we lined up at a window in the back of the building to pay for it. Then we lined up at the first window to request minutes. Then we lined up at the back window to pay for them. Then we came back to the front to have the minutes installed. I was back at the convent before I realized the SIM card wasn’t working. But it was worth it for the adventure. That afternoon, our host Conrado Olivera called our journey to Peru a “camino.” He meant by it more than simply a walk: Una peregrinación, a pilgrimage. I thought he was elevating our reverence. We were not following in Jesus’ footsteps as Holy Land pilgrims try to do, “running where Jesus walked.” We weren’t suffering the five hundred miles of the Camino de Santiago in Spain. But he was reminding us that we were not merely sightseeing. 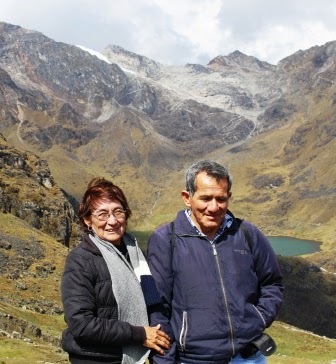 We were accompanying our Peruvian friends for a few days on their journey for environmental justice. And in fact, in a few days’ time, we would literally accompany them as they marched through downtown Lima to highlight their passionate insistence that the world’s nations take climate change seriously. And to make these pilgrimages we needed to know something about Peru. His colleague Nelson Figueroa spoke of El Día del Pueblo, The Day of the People. It’s his organization. It’s also Sunday, the day when families gather. It’s also a Sunday radio show promoting justice for Peru’s indigenous populations. El día del pueblo—it’s time now for the people to speak and be heard. What’s happening, he said, is that 2014 is the hottest year ever recorded. What’s happening is that 40 percent of Peru’s eternal glaciers are melting, and as a result, coastal cities like Lima won’t have water in a decade or two. What’s happening is that in Bolivia someone said nature used to work like a clock, but now it’s unpredictable, and they don’t know when to plant or harvest. Diseases have returned, such as dengue fever and malaria. And the extraction industry: Peru is divided into a grid, with all its mineral rights given to multinational corporations, even though half of this territory belongs to indigenous communities. In a lawsuit against Ecuador, Texaco/Chevron is claiming that the purpose of land is exploitation, and those who live there should just leave. Such companies seeking resources use explosives to generate earthquakes, so they can read seismic equipment to find resources. Animals are scared away, and people are left without food. Such extraction wouldn’t happen, he said, if consumers didn’t demand it—not only in developed nations but even in Peru. Therefore, the system itself needs to be changed. As we would soon learn to say: Cambiemos el sistema, no el clima: Let’s change the system, not the climate. He told the story of a miracle in 1615: When pirates attacked Lima to take its gold and silver away to Spain, Santa Rosa and others began to pray for deliverance. But there was one Franciscan priest who knew how to fire Lima’s only cannon. He hit the main ship, and the others fled. Prayer alone didn’t work; prayer and action together did. Today, Nelson said, some of the Protestant pastors and Catholic priests are beginning to fire cannons. They are getting involved, focusing on the connections between industrial contamination in their communities and climate change in the world, not only praying but acting. Conrado discussed Peru’s social and environmental context. Geographically, the Andes through the midst of Peru make it incredibly diverse: About 10% coastal desert, as in Lima; 30% mountains; and 60% Amazon jungle. In terms of biodiversity, of the 32 climate types in the world, Peru has 27 of them. Peru’s economy, Conrado said, is based on selling natural resources to foreign investors. Like Mexico and Columbia, Peru’s government sells all the resources they have, and weakens their environmental standards to attract foreign money, expropriating land from its owners and penalizing protesters. Some have even been killed. Of the nine geographical characteristics showing vulnerability to climate change, Peru has seven. It has a large percentage of the world’s endangered tropical glaciers. 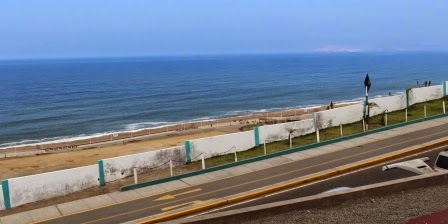 Lima is the world’s second biggest desert city after Cairo, with three glacier-fed rivers flowing into it from the Andes. But as this dries up, they are beginning to bring water from the other side of the Andes as well. Coastal fishing is being hurt by warming waters that kill the plankton the fish feed on. And there are five other indicators making Peru one of the world’s most vulnerable countries. In San Juan Bautista de Pachachaca where we would be going the next day, a Chinese mining corporation called Chinalco runs a lime foundry to aid its copper mining four hundred meters from where people live, causing problems for breathing, eyes, and skin, allergies, aneurisms, and genetic malformations. Because of an open pit mining operation next to the town, Chinalco built a new city and moved everyone into rental housing it, without compensating them adequately for their contaminated homes. Such foreign corporations take the minerals, but don’t give back—no jobs, no development, no compensation, only contamination, ruin, and disgrace. That night, sobered by these words but buoyed by expectation, our heads filled with new information, our hearts with new friendships, and our stomachs with Peruvian cuisine, we took our altitude sickness medicine for the 16,000-foot part of the pilgrimage, packed three-day bags, and went to bed for our early morning start.